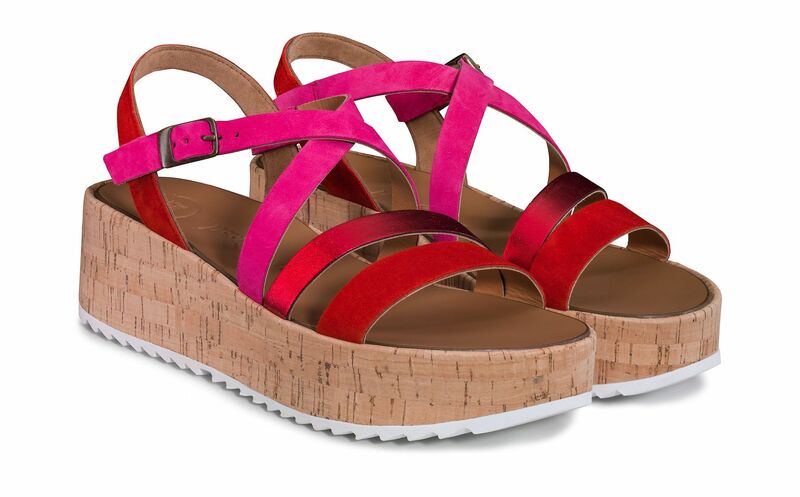 Fine details make these Relax platform wedges by Paul Green truly eye-catching. The delicate strappy design in red-pink and metallic details is a dynamic contrast to the striking platform soles with covered cork. With the Relax width, the comfortable model offers more volume in the toe and ball area. An adjustable buckle on the side ensures optimal support. Bring on the summer!